This is a Wholesale Lot of 12 hoops. To purchase individually, please see the related items list below. 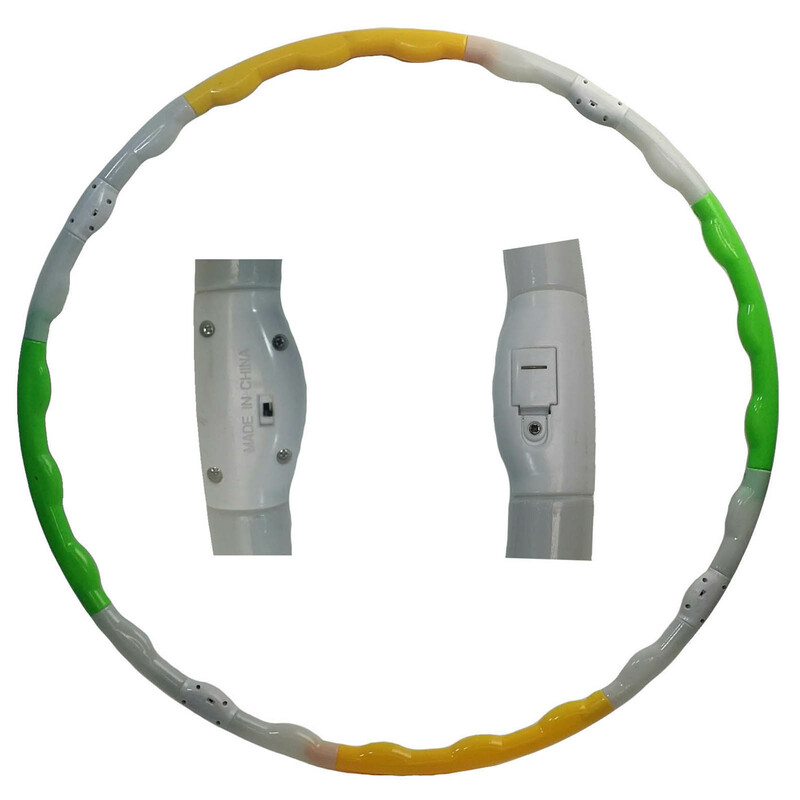 Arrives double-rolled for easy portability, (great fror travel!) 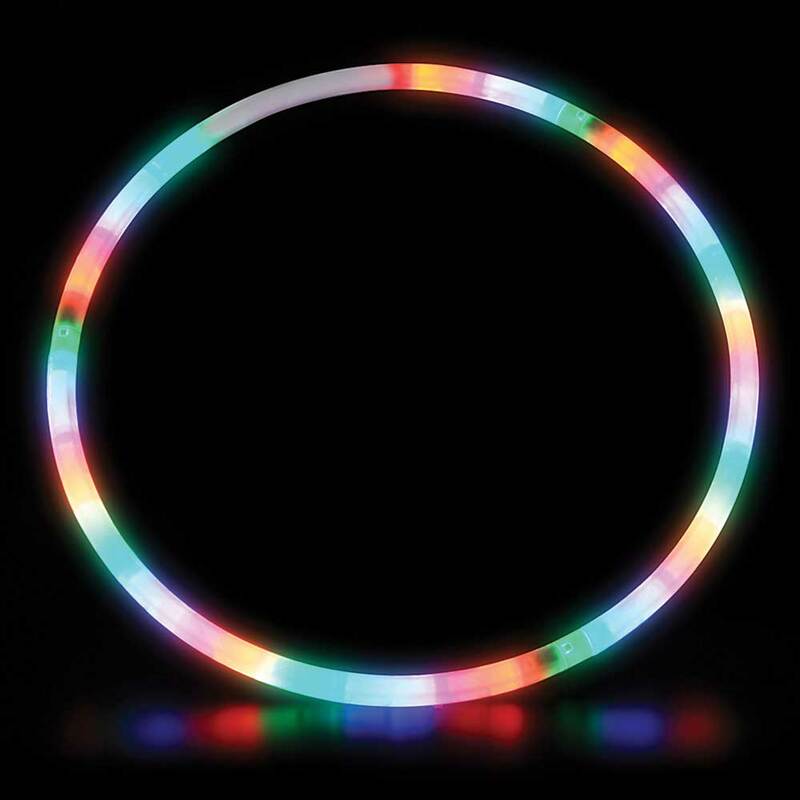 This great LED flashing hoop is 36 inches in diameter and uses 2 x AA batteries that are already pre-installed and easy to replace, (requires removing 2 small Phillips screws.) 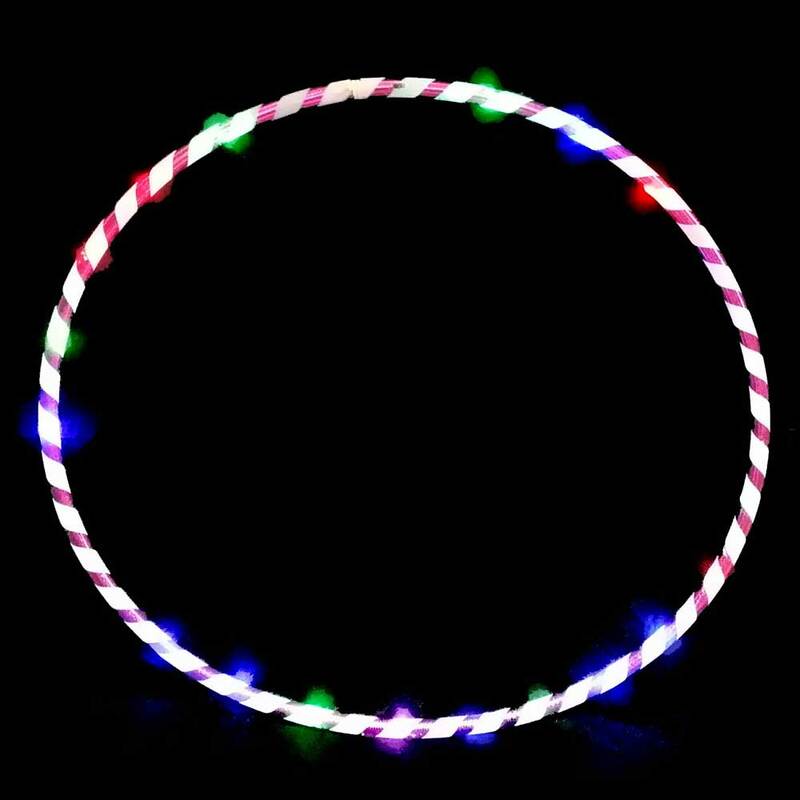 The lights alternate in an array of colors and the hoop automatically cycles through a number of fun modes! 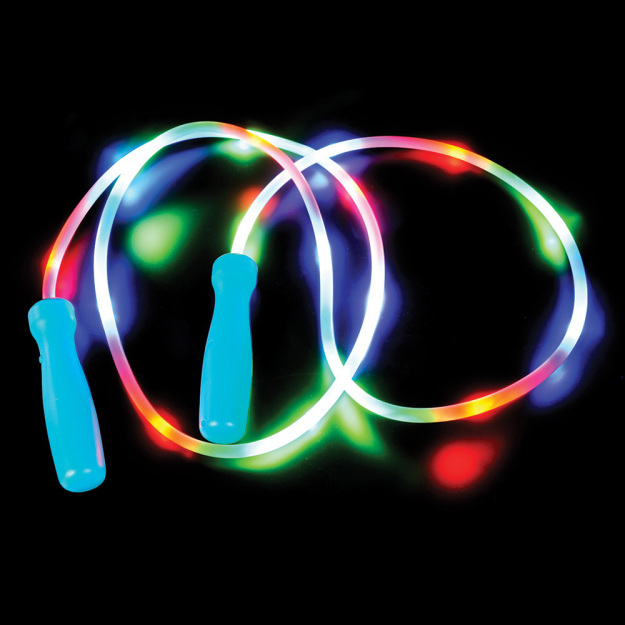 These hoops make great gifts for all ages, and are great for that hard-to-shop-for active person. If you're looking for a really cool gift, look no further! A great Gift Idea! 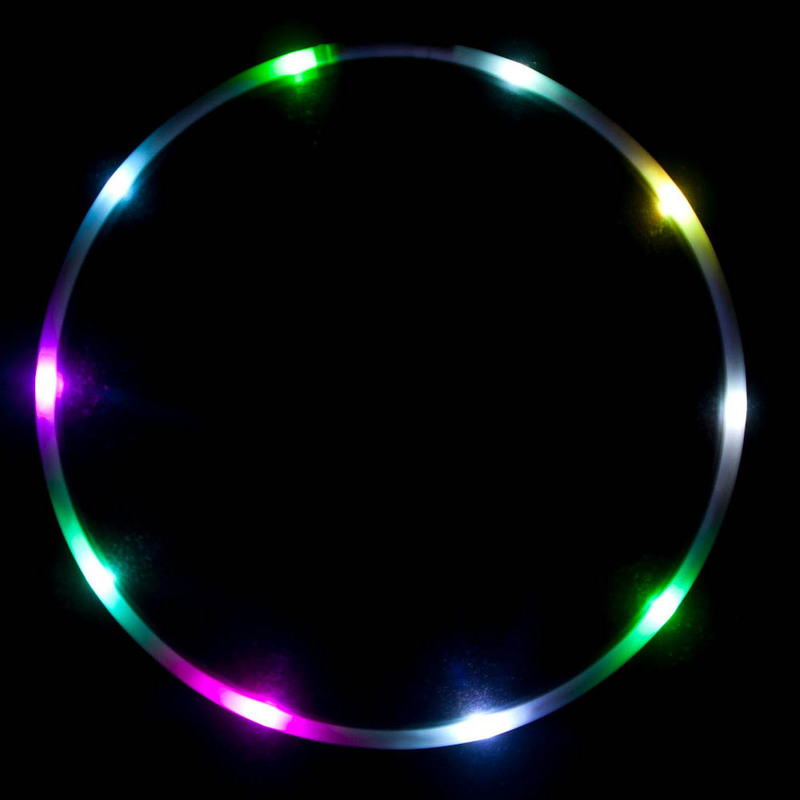 These hoops make great gifts for kids all ages, and also make a great decor piece! Made of white flexible and sturdy 1" plastic tubing. Weighs just under 1.2 lb. Slide-switch to turn on and off located near the battery compartment. Can be double-rolled - Easy to put into a backpack or bag. Hooping is the newest incarnation of a constantly evolving art form. 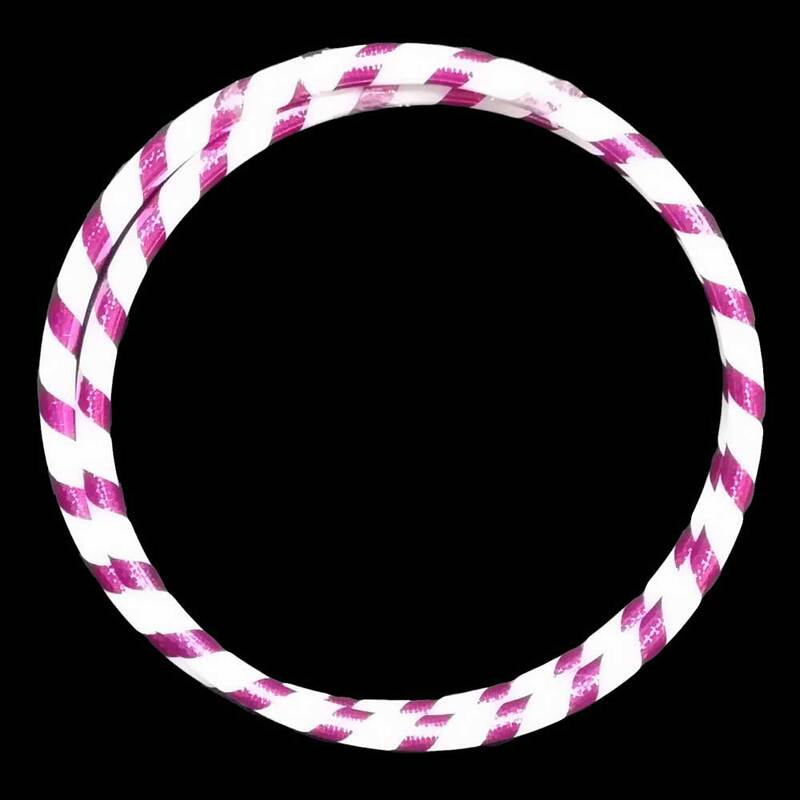 Most people inaccurately believe that the hoop was invented in the 50’s. 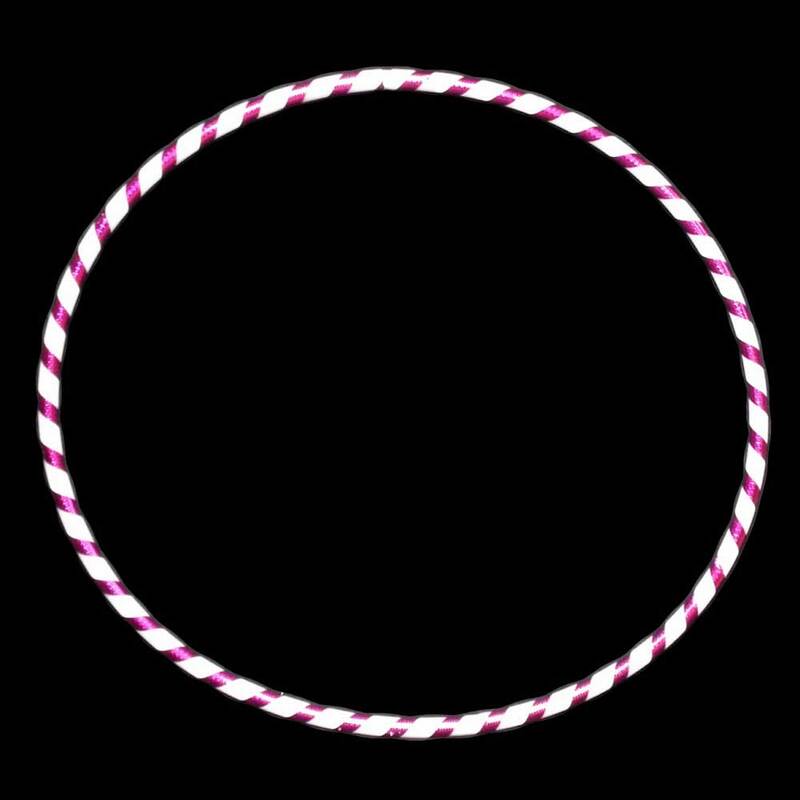 In actuality, the hoop has been around for centuries, even dated back to ancient Egypt! The freshest translation of the hoop more purely resembles a dance form than the “trick” based activity of the past. You are more likely to see this style in a break dancing circle than on the school-yard, with adults spinning the hoop with the fervor of child aficionados in earlier days! There are so many different ways that people enjoy the hoop. Meditation, yoga, performance art, dance, exercise, sensual awakener, business and probably many more that I don’t even now about! The hoop is like a blank canvas in which you can express and create whatever you wish!